Polycystic ovary syndrome is something quite different to suffering from ovarian cysts, which are discussed in detail in that section. Polycystic ovaries are ovaries that are actually covered with very small follicles in which the egg develops. In each menstrual cycle, follicles grow on the ovaries. Within those follicles eggs develop, one of which will reach maturity faster than the others and be released into the fallopian tubes. This is known as ovulation. The remaining follicles (sometimes hundreds) will degenerate. In the case of polycystic ovaries, however, the ovaries are much larger than normal, and there are a series of undeveloped follicles that appear in clumps, rather like a bunch of grapes. Polycystic ovaries are not particularly troublesome and in many cases they will not even affect your fertility. 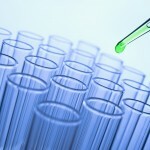 Where the problem starts, however, is when the cysts cause a hormonal imbalance, leading to a series of other symptoms. These symptoms are the difference between suffering from PCOS and from polycystic ovaries. So a woman can have polycystic ovaries without having PCOS but all women with PCOS will have polycystic ovaries. What symptoms could you experience? With the most extreme form of PCOS, you would tend to be overweight, have no or very few periods, be prone to acne, grow unusually heavy body hair, often on the face, breasts and inside of the legs, and be susceptible to mood swings. And with this can come problems with fertility and often recurrent miscarriages. Women with PCOS may be seven times more likely to develop diabetes because of problems with blood sugar balance. 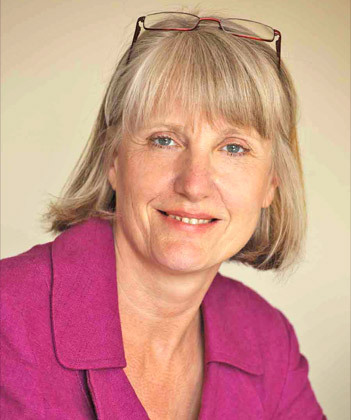 Over the last few years, research into the nutritional approach to PCOS has revolutionised the treatment of this problem.As women with PCOS lose weight, hormone levels start to return to normal. Testosterone levels fall, serum insulin levels go down, SHBG levels go up and the symptoms of PCOS diminish, with significant improvements in the growth of excess hair as the women lose weight. Along with the weight loss comes a remarkable change in ovarian function. In one study, 82 percent of the women who were not previously ovulating showed improvements, with a number of successful pregnancies during the study, even though many of these women had a long-standing history of infertility. So dramatic have been some of the results, that it has now been suggested that changing a woman’s diet should be the first move if she is overweight and failing to conceive. One study found that 11 out of 12 women who had been overweight and not ovulating conceived naturally after reducing their weight. In general, women with high levels of luteinising hormone (LH) in the first half of their menstrual cycle seem to have a greater risk of miscarriage. So miscarriages are more likely to occur in women with PCOS because of the high levels of LH. But, in a study of women with PCOS who were asked to change their diets, the rate of miscarriages dropped from 75 percent to 18 percent once they had lost weight. The supplements recommended may be helpful for PCOS. For best results you should take them over a period of three months, at the end of which you should be reassessed in order to monitor improvements and changes and then adjust the supplement programme according to your new condition. If you been using the Pill to regulate your periods, you may have an even greater imbalance between a number of key vitamins and minerals. Correcting this imbalance will go a long way towards treating the root cause of the problem. A good quality multivitamin and mineral would form the foundation of your supplement programme to make sure that you are getting a ‘little bit of everything’. You then add in those nutrients in slightly higher amounts which are known to be helpful for PCOS. Chromium is an extremely important mineral if you have PCOS. It helps to encourage the formation of glucose tolerance factor (GTF) which is a substance released by the liver and required to make insulin more efficient. A deficiency of chromium can lead to insulin resistance, which is a key problem in the case of PCOS; too much insulin can be circulating but it is unable to control your blood sugar (glucose) levels. The B vitamins are very important in helping to correct the symptoms of PCOS. Vitamins B2, B3, B5 and B6 are particularly useful for controlling weight, and here’s why: Vitamin B2 helps to turn fat, sugar and protein into energy. B3 is a component of the glucose tolerance factor (GTF), which is released every time blood sugar rises, and vitamin B3 helps to keep the levels in balance. Vitamin B5 has been shown to help with weight loss because it helps to control fat metabolism. B6 is also important for maintaining hormone balance and, together with B2 and B3, is necessary for normal thyroid hormone production. Any deficiencies in these vitamins can affect thyroid function and consequently affect the metabolism. Zinc is one of the key minerals that we need in our daily diets and it has a wide range of functions. Unfortunately, because our soil has been depleted by overfarming, there is very little natural zinc found in our food. Furthermore, processing and refining strip out what little might be remaining. So no matter how good your diet, you may not be getting anywhere near the levels of zinc that you need. There are two approaches to this: you can eat whole organic food, which has much more rigorous controls on farming methods, or you can add a zinc supplement to your diet. But why is it so important? Magnesium levels have been found to be low in people with diabetes and there is a strong link between magnesium deficiency and insulin resistance. It is, therefore, an important mineral to include if you are suffering from PCOS. Co-Q10 is a substance that your body produces in nearly every cell. 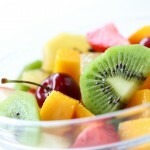 It is important for breaking down carbohydrates and turning them into energy instead of being stored as fat. It also helps to balance your blood sugar. Vitamin D, the sunshine vitamin, is now recognised as being so important in controlling blood sugar and improving insulin sensitivity. 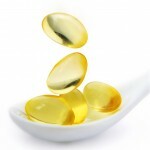 We also know that having low levels of vitamin D is associated with insulin resistance and obesity in women with PCOS. These essential fatty acids help your body become more sensitive to insulin and taken in supplement form have been found to reduce testosterone levels in women with PCOS and the greatest reduction is seen in those women who had high levels of Omega 6 fatty acids compared to Omega 3. That is why it is so important to get the correct balance of Omega 3 to Omega 6. Beneficial bacteria, also known as probiotics, are important as they play a part In PCOS as they can help to control your weight. We know that there is a difference between the composition of the gut flora in normal weight and obese people. Poor levels of beneficial bacteria can make your body store more calories and can actually make you become overweight by increasing your appetite and make you more insulin resistant. We also know that probiotics can help reduce weight around the middle of the body (more common in PCOS weight gain. Herbs are extremely useful in the treatment of PCOS. Making changes and adding supplements to your diet will help to control weight and balance blood sugar, while herbs go a step further, targeting any problems involving hormone balance. Herbs can also be very beneficial in encouraging the function of your liver, in order to make sure that it is metabolising the hormones efficiently and then eliminating them. This is one of the most important herbs for PCOS because it helps to stimulate and normalise the function of the pituitary gland, which controls the release of LH (luteinising hormone). 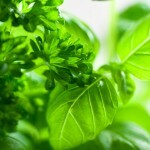 This herb is so important for PCOS as it helps to reduce the hormone LH which is often too high. It is also beneficial for reducing anxiety and tension. This is one of the key herbs for the liver, which acts as your waste disposal unit,, and it is therefore essential for the treatment of PCOS. It helps to protect your liver cells against damage and to promote the healing of damaged cells, so improving the general functioning of the liver and all its detoxifying properties. Saw palmetto is a herb that is traditionally considered in light of its success in treating prostate problems caused by an imbalance of hormones (including excess testosterone). It is a small palm tree found in North America and the berries of the tree are used in tinctures or capsule form. Research has shown that saw palmetto works as an anti-androgen, which can be very helpful given the high levels of testosterone in PCOS. I would suggest that you add saw palmetto to your treatment plan if you have excess hair growth, or have been told you have high levels of androgens. 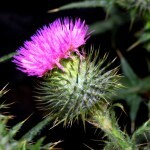 Otherwise, just take the agnus castus, black cohosh and milk thistle. If you need help in obtaining any of the supplements, herbs or tests mentioned above, click, Polycystic Ovary Syndrome (PCOS) options at The Natural Health Practice. They can supply all of them for you online or if you prefer to talk to somebody first you can also order by mail order on the telephone. The products supplied by this company are always of the highest quality. In my book ‘The Natural Health Bible for Women’ I explain the impact of nutrition on Polycystic Ovary Syndrome (PCOS) and also give in great detail a list of the most important nutrients and herbs required in order to help you. If you would like to order these special supplements for you now, you can do so through the Natural Health Practice by clicking Polycystic Ovary Syndrome Supplements at the Natural Health Practice. The tests below have been specially selected to be the most helpful if you are concerned about PCOS. If you need help in obtaining any of the supplements, herbs or tests mentioned above, click, Polycystic Ovary Syndrome options at The Natural Health Practice. They can supply all of them for you online or if you prefer to talk to somebody first you can also order by mail order on the telephone. The products supplied by this company are always of the highest quality. The section above forms part of a larger e-book on Polycystic Ovary Syndrome (PCOS). In the rest of the e-book you will learn what the medical approaches to PCOS are and how to combine them with the natural approach. This is called Integrated Medicine and is the way that healthier of the future is moving towards. You will also learn what medical tests will give you an accurate diagnosis of your condition and if you really need to have them. The medical treatments for PCOS are then examined which can include looking at either drugs or surgery. Each treatment is then discussed and the pros and cons of the options explained. The Integrated Approach to PCOS is considered in some detail so that if appropriate you can know how to combine the best of both conventional and natural medicine. 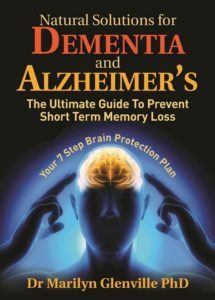 At the end of the e-book is a practical step by step summary of what you can do to help yourself. 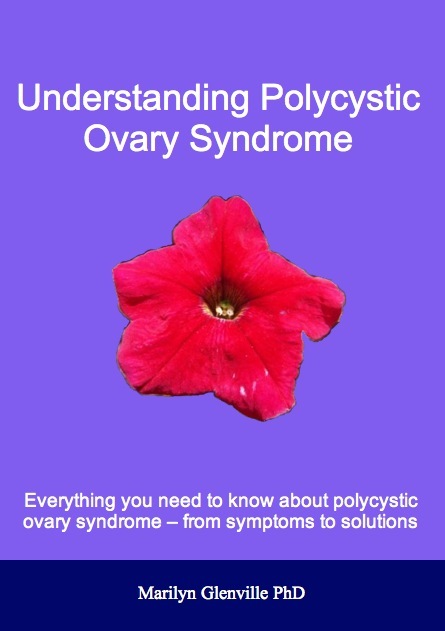 If you would like to read the rest of this e-book click, Understanding Polycystic Ovary Syndrome (PCOS) ebook at The Natural Health Practice and you will be given details of how you can download the whole e-book. 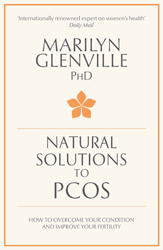 Or if you would like even more in depth advice about Polycystic Ovary Syndrome (PCOS) then read ‘The Natural Solutions to PCOS’ book – An international best seller.